Almost a year to the day, international hard rock band Sainted Sinners will drop their sophomore album, Back With A Vengeance. 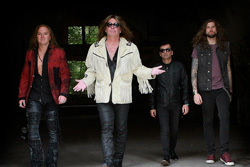 The band returns with the original line up including founders American vocalist David Reece (Accept, Bangalore Choir, Bonfire) and German guitarist Frank Pane (Bonfire), with Malte Burket on bass and Berci Hirleman on drums. But this time out they've dropped their keyboard player, going for a more guitar-forward sound. But that's pretty much what Sainted Sinners has always been, a guitar-centered classic hard rock band. Unashamedly, guitarist Frank Pane wears his influences on his sleeve. From Randy Rhoads to Michael Schenker to Eddie Van Halen, they're all flowing across his fret board. If you love guitar for harmony and melody in the riffage or simply amazing solos, Sainted Sinners is a band to fulfill your guitar lust. If there's one song that defines this guitar focus, it's easily the first track Rise Like A Phoenix, which is filled with abundance great riffs and sweet solos. And regarding the keyboards, if there's one synth or piano to be found, my ears missed it. Additionally, I found this album to deal more straight up melodic hard rock. But you will still hear some of the blues and country rock nuances, that appeared on their first album, as well. You'll hear some country rock with the title track; more latent blues with Let It Go, Gone But Not Forgotten, and Tell Me I Was Wrong. 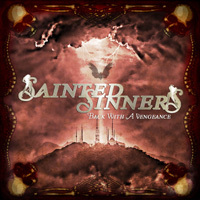 But to be redundant once more, with Back With A Vengeance, Sainted Sinners essentially delivers more, quite awesome, guitar-forward classic melodic hard rock. Yet a conundrum still remains, at least for me. Is Back With A Vengeance better than the first album? I'm not sure, that first album was pretty terrific. Get both and decide for yourself, besides they need the money. Grin. 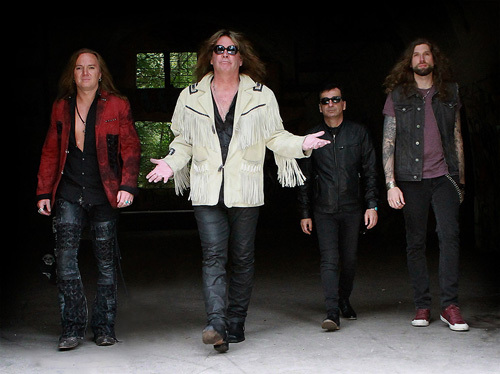 With Back With A Vengeance, Sainted Sinners delivers more, quite awesome, guitar heavy classic melodic hard rock. Yet a conundrum still remains, at least for me. Is Back With A Vengeance better than the first album? I'm not sure, that first album was pretty terrific.